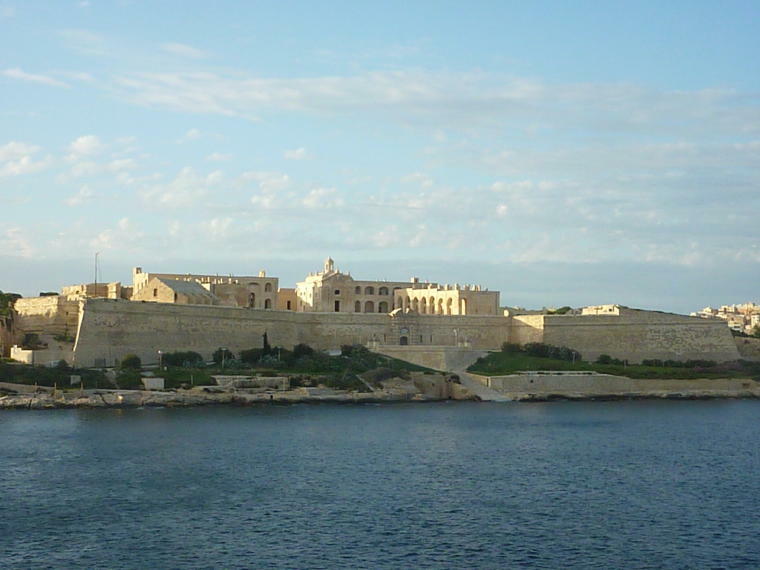 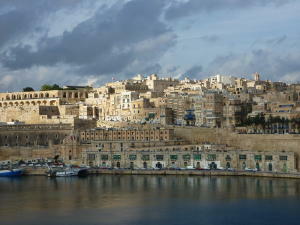 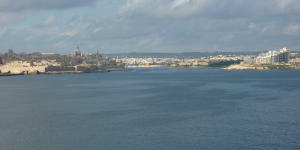 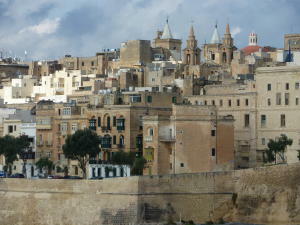 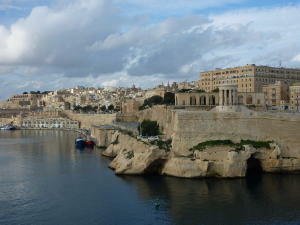 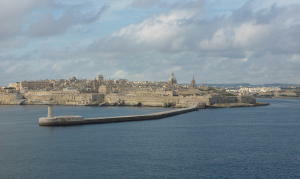 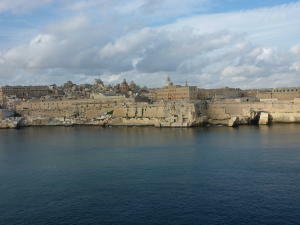 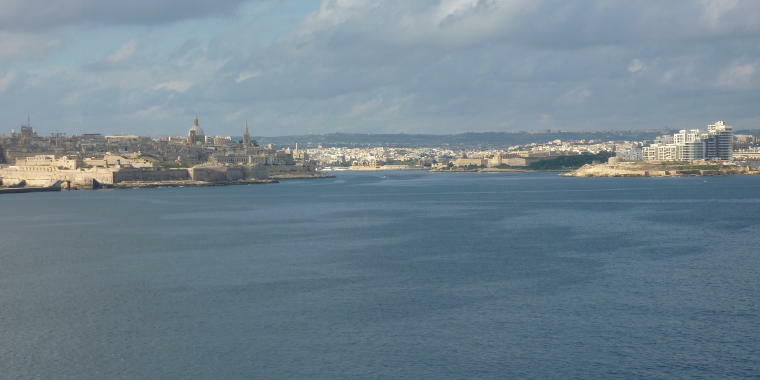 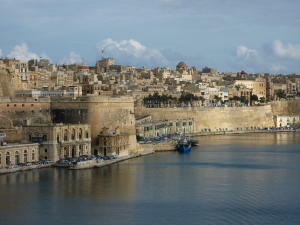 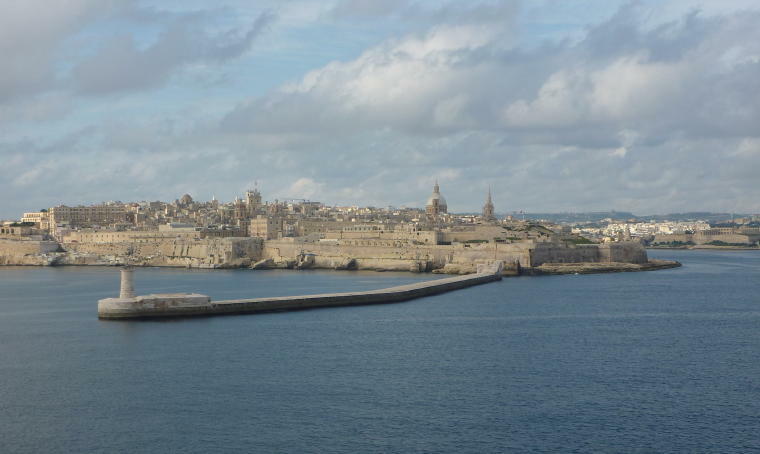 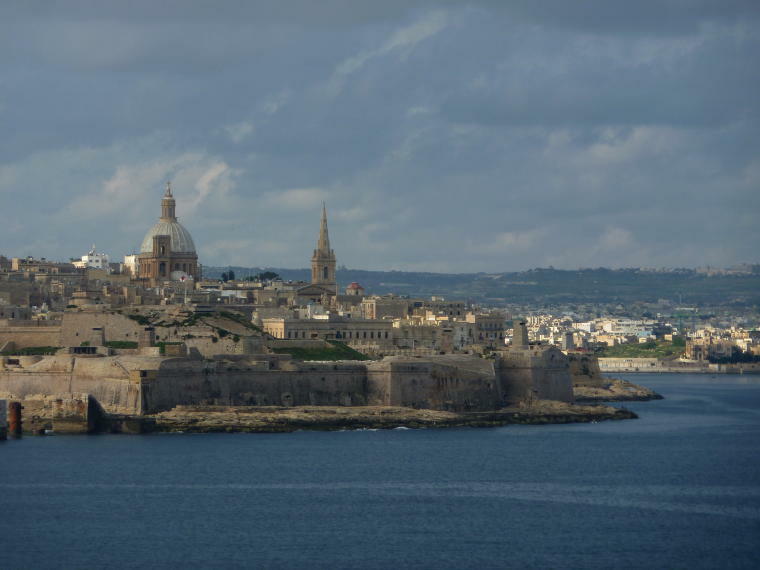 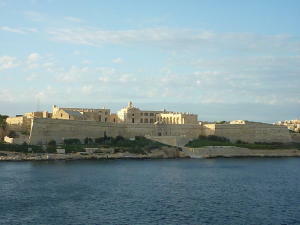 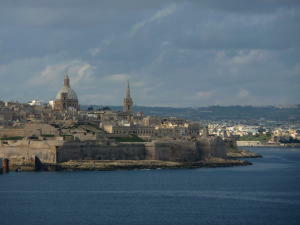 Valletta is a walled city with huge stone walls and bastions along the water. 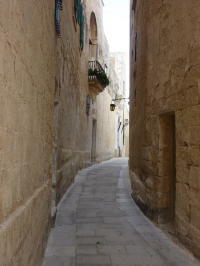 The narrow, winding streets were built to confuse invaders. The elaborately decorated aristocratic residences and Baroque style buildings built by the Knights in the 18th century. Maltese Cross - The 8 points represent the 8 Beatitudes. 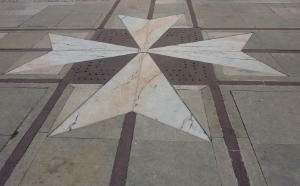 The 4 crosses (arrowheads) represent the 4 virtues. 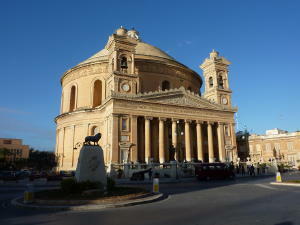 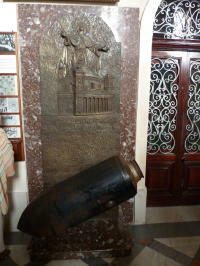 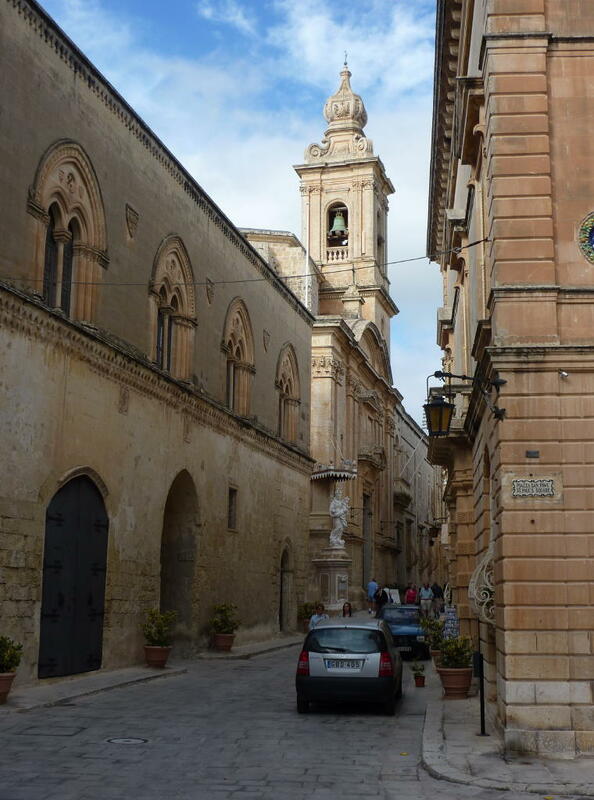 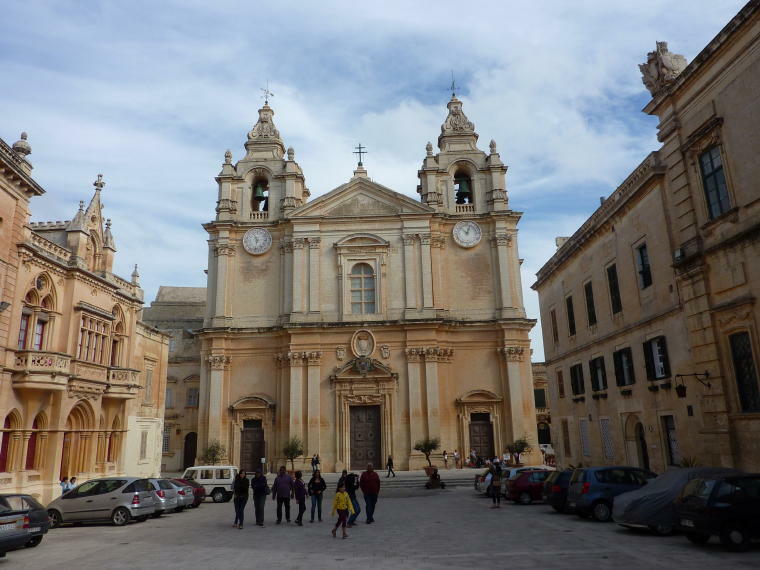 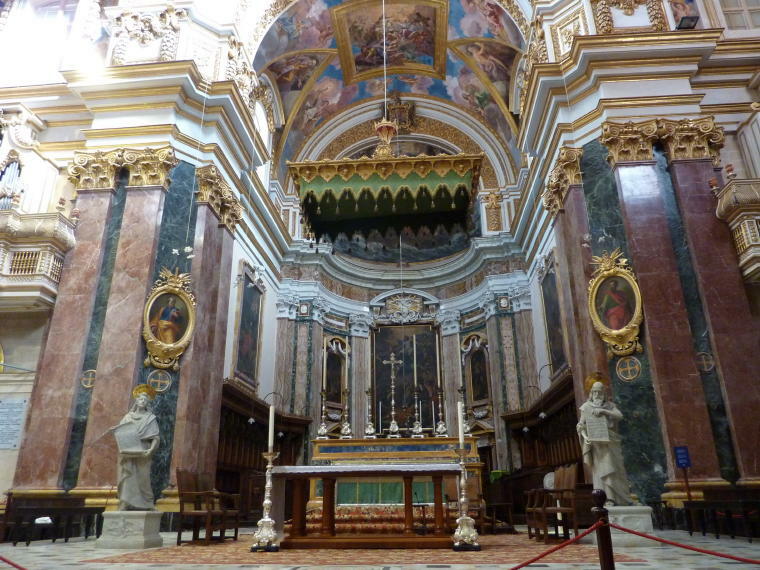 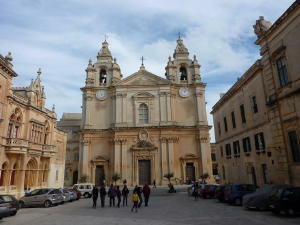 St. John's Cathedral - seat of the Archbishop of Malta. 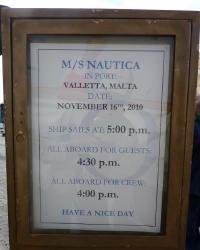 The clock on the left is a working a calendar. 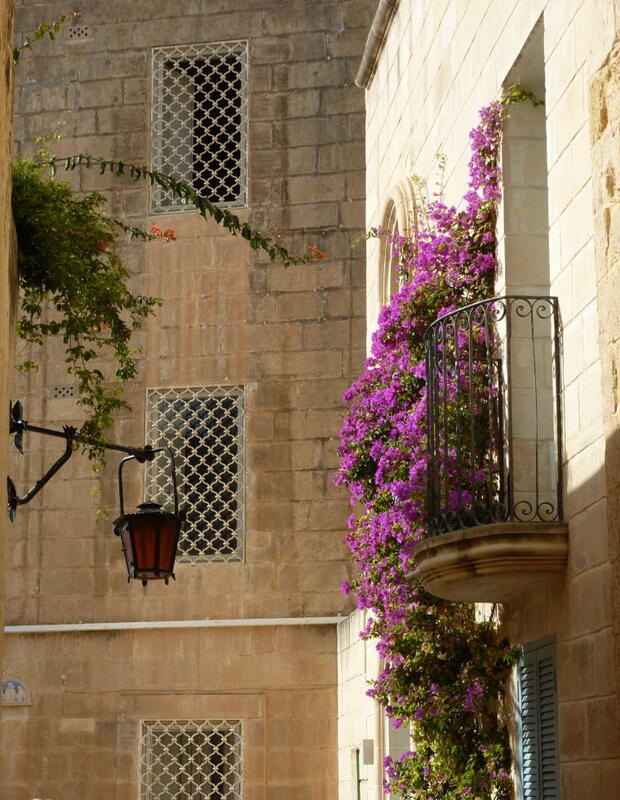 The clock on the right tells the time. 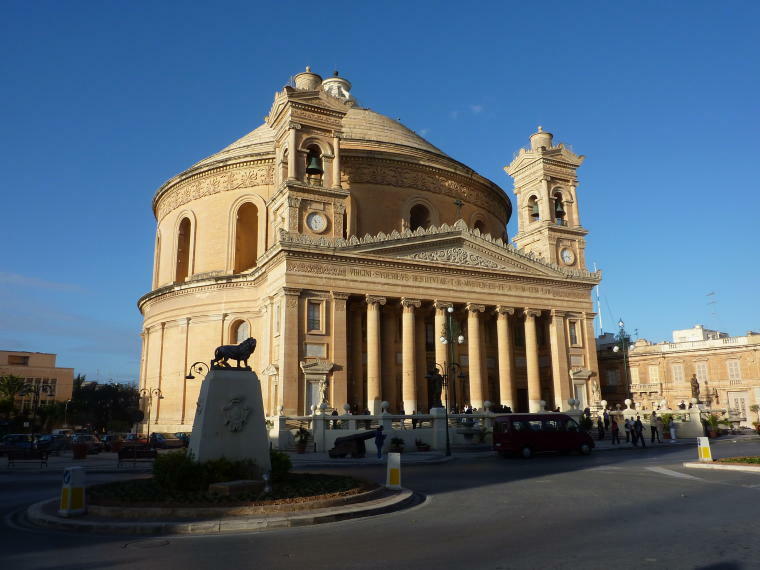 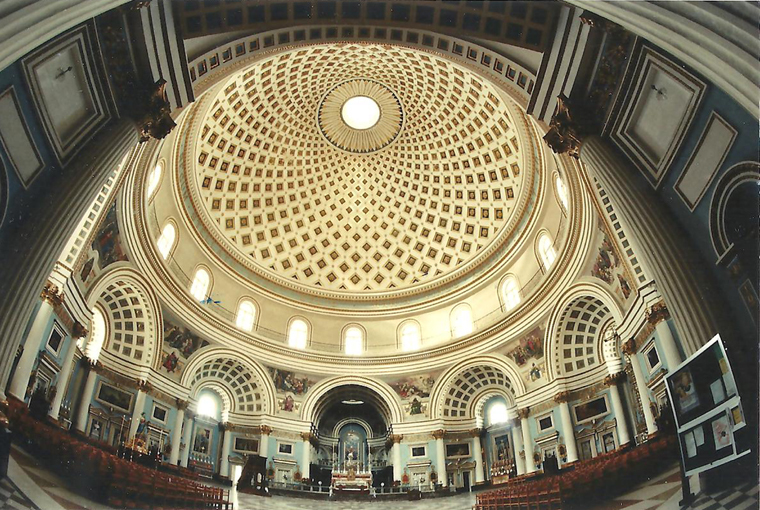 Mosta Dome Church - 3rd largest unsupported dome in the world. 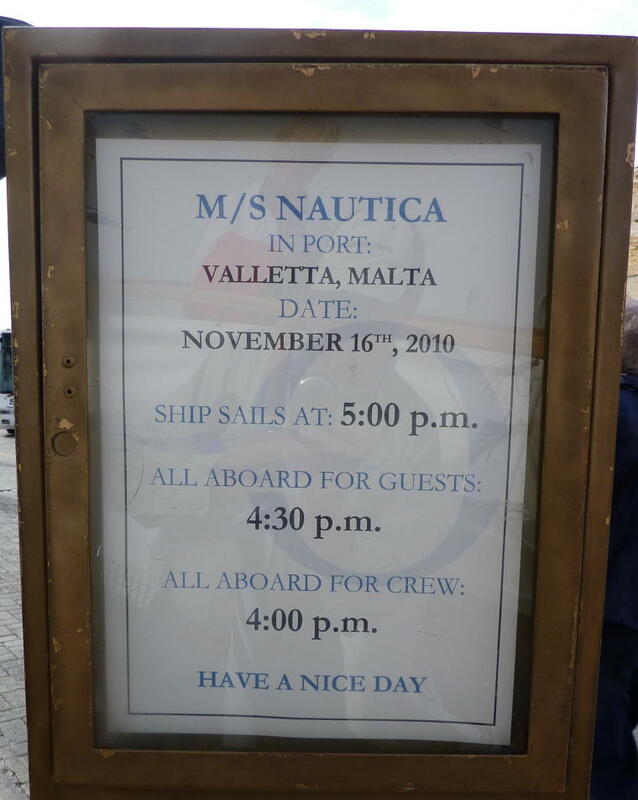 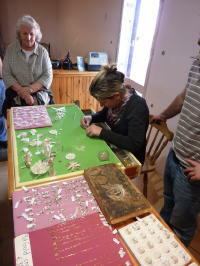 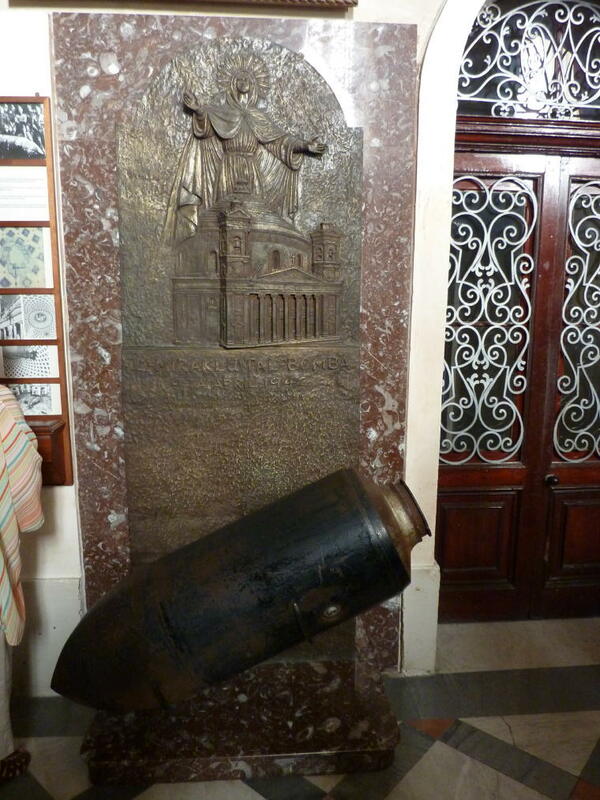 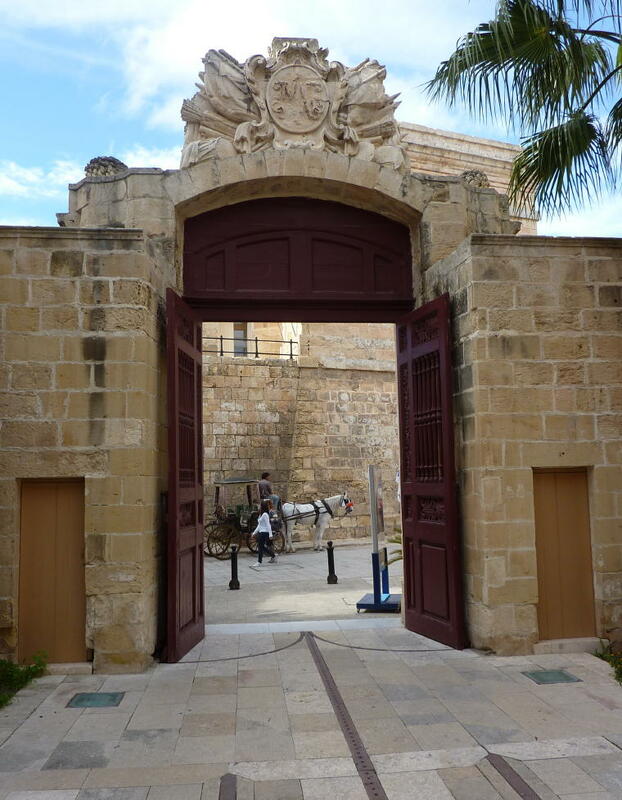 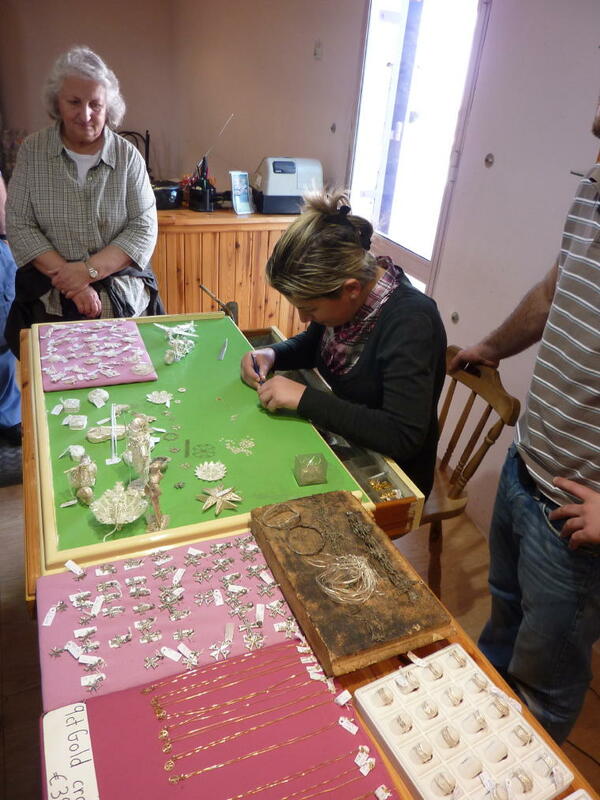 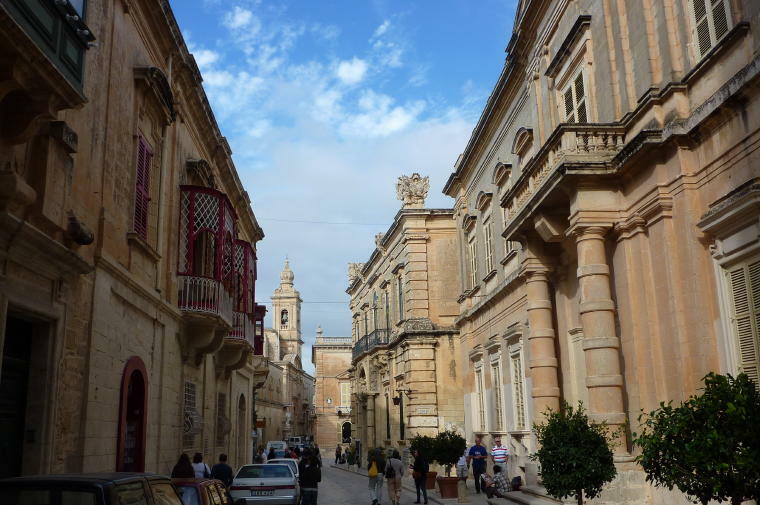 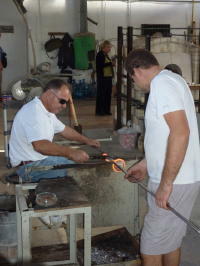 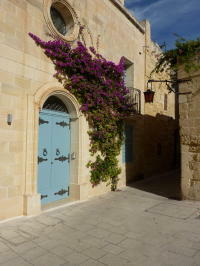 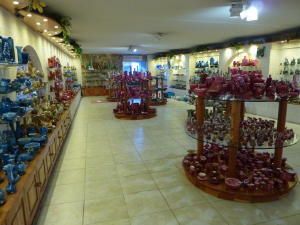 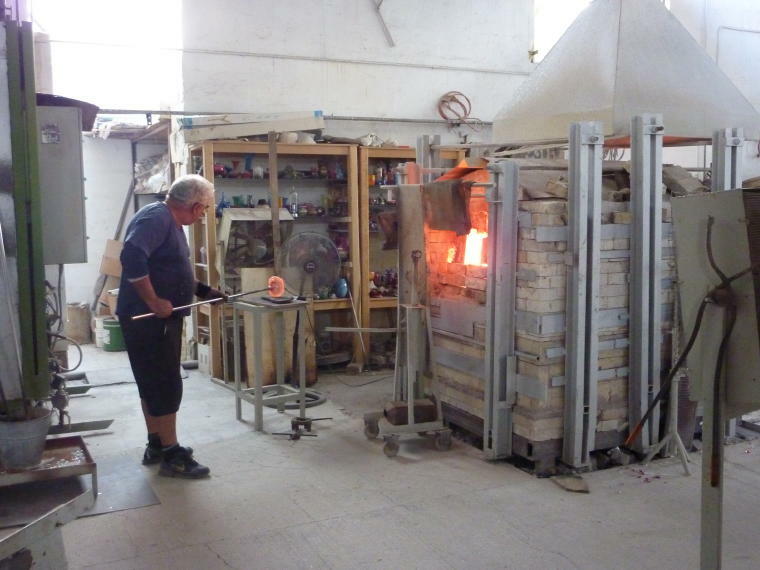 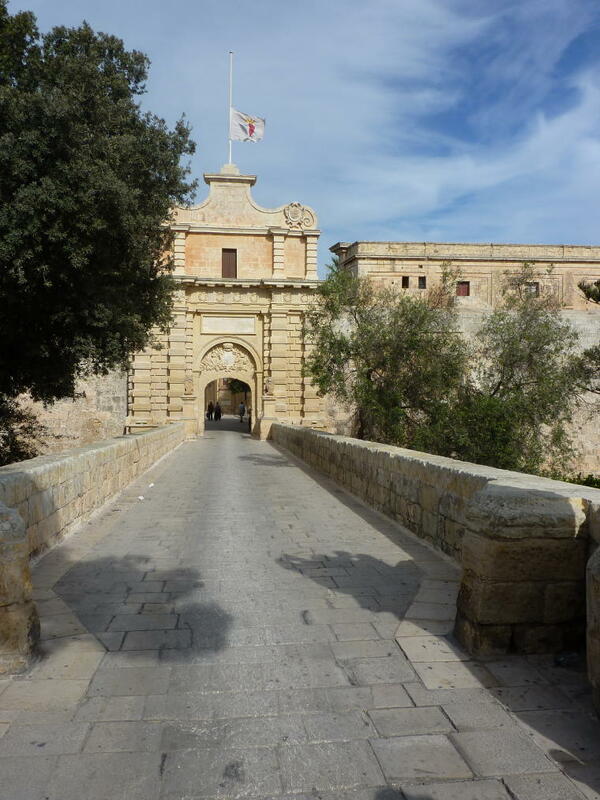 To learn more about our visit to Valletta, Malta go to the Malta Newsletter. 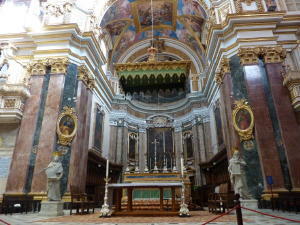 To view the next photo gallery, go to Valencia Photo Gallery.